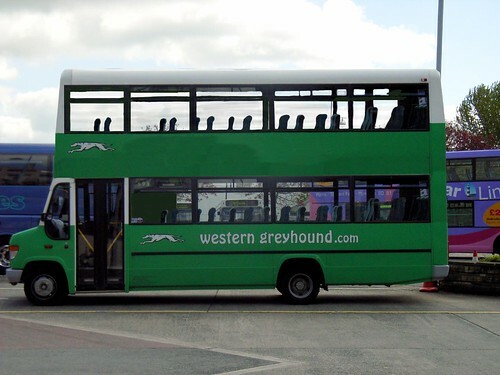 News has been released that Western Greyhound has taken over Sunset Travel based in Penzance, Cornwall. Sunset Travel operates a network of routes in the far west of Cornwall, which neatly bolt onto the existing operations of Western Greyhound. issued on all services. This means that the excellent day tickets are now even better value as it allows better coverage of Cornwall and Devon where they are valid on Stagecoach Devon too. Western Greyhound cannot be far off being able to call themselves the main bus company for Cornwall, putting First into Second place. As for the photo above - dont expect to see it in real life as it doesnt exist! If Mercedes had produced a double decked Vario then this is what it would look like!